Europa Sacra is the most comprehensive tool for studying Church prelates from the Early Church to the Early Modern Period. The lists of bishops produced in Eubel’s Hierarchia catholica medii aevi… ab anno 1198 and Gams’ Series episcoporum ecclesiae catholicae still represent the most comprehensive tool for studying the prelates of the Church from the Early Church to the Early Modern Period. It contains prosopographical information on 30,000 bishops, archbishops and patriarchs. 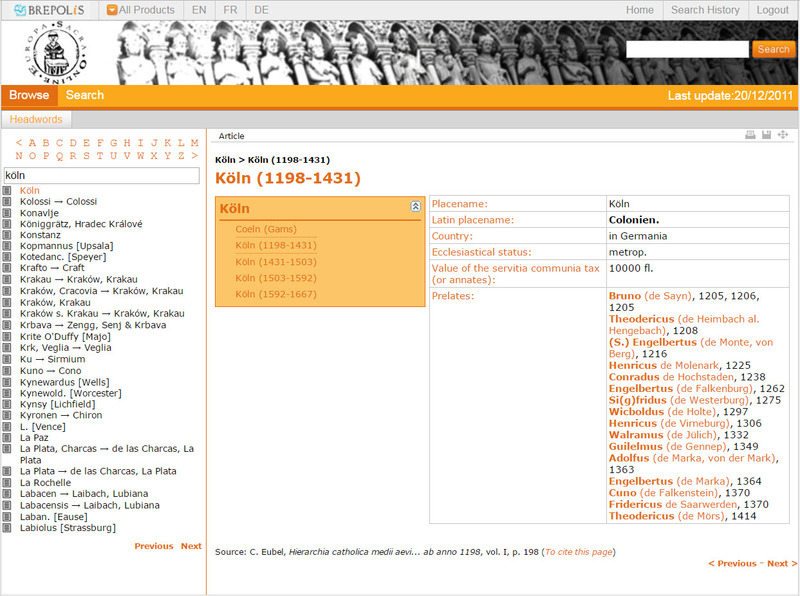 BREPOLiS multi-lingual interface (English, French and German). 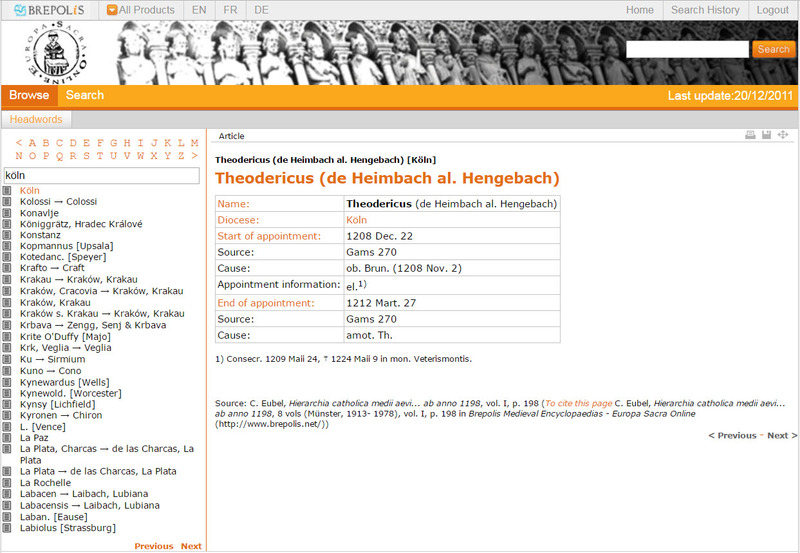 See also the Lexikon des Mittelalters and the International Medieval Bibliography.